First of all, welcome to the newly renovated site. I’m still in the process of making some tweaks here and there, but for the most part everything is in place. I hope it’s not too confusing to navigate around! This week, we didn’t get a ton of announcements, but the ones we did are all pretty nice. Believe it or not, it’s been about one year since the Tokyo DX Pokemon Center and official cafe opened in Nihonbashi. 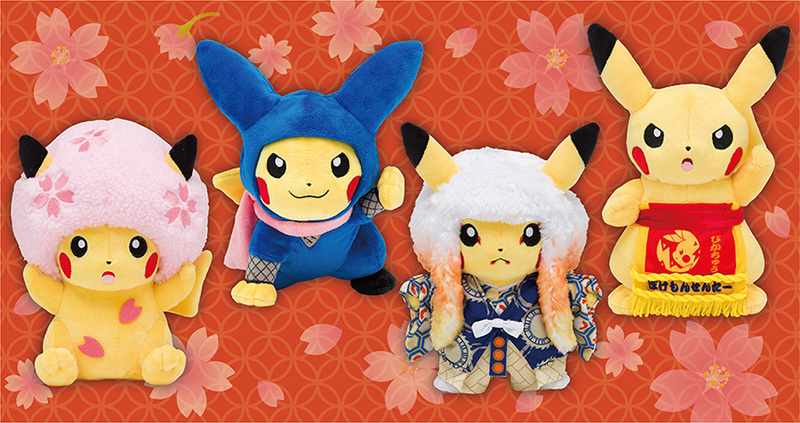 To celebrate the first year anniversary, special cosplay Pikachu plush will be sold exclusively at the Tokyo DX Center starting March 14th (Thursday). There will be four designs in total (Sakura Afro, Ninja, Sumo, Kabuki) with each plush costing 2,160 yen including tax. There will also be a gacha set of pins based on the walking map featured on a bunch of Tokyo DX exclusive merchandise. This set includes 6 pins in total and will be available at both the Tokyo DX Center and the Tokyo Station Store, with one play costing 300 yen. Along with the Pokemon Center, the adjoining cafe will also be celebrating it’s 1 year anniversary by adding a couple new items to the cafe exclusive store. 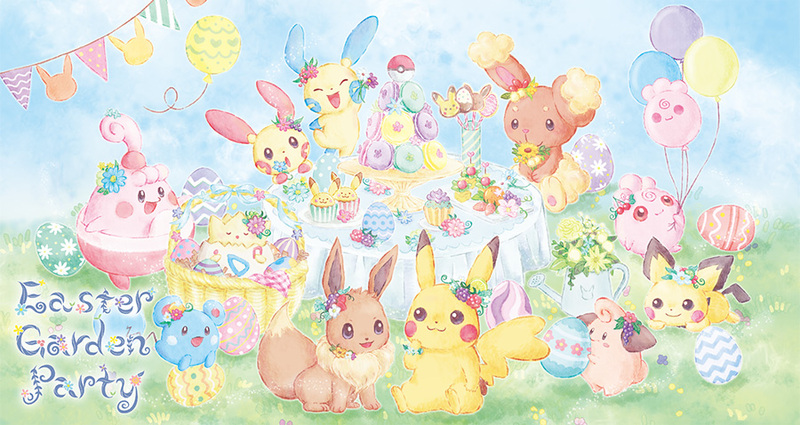 The Pokemon Center’s Easter promotion for this year was also officially announced after giving a sneak peek in the latest edition of Pokemon Fan. This promo will go on sale at all Pokemon Centers and Stores around Japan from March 16th (Saturday). That wraps up this week’s New Merchandise Announcements! Thanks for all this info, some of this stuff is super cute!